is a ministry of the Evangelical Lutheran Church in America. We are focused on the formation of communities of faith which provide opportunities for the Gospel to be shared in Word, Sacrament and Fellowship. 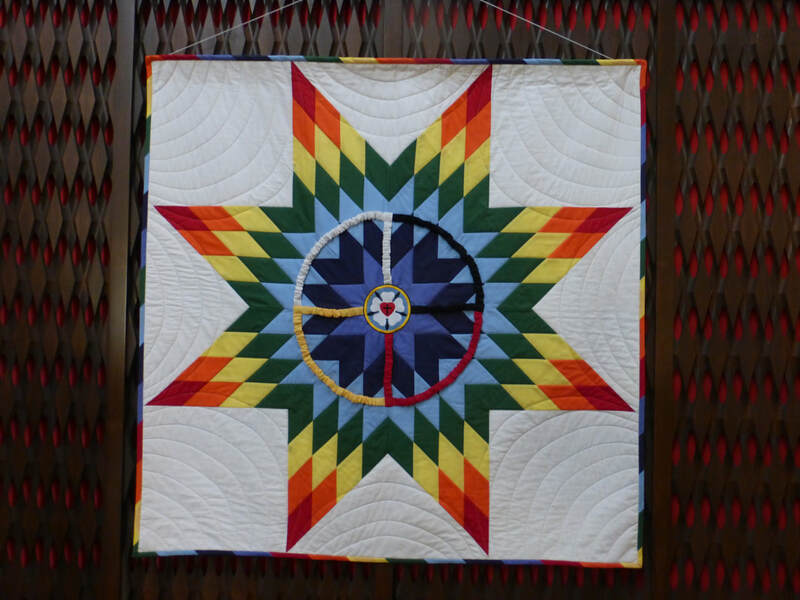 Star Quilts of this design have been given to the Tribal Councils of the Flathead Reservation, Rocky Boy and Fort Peck Reservation along with a formal apology from the Montana Synod. The center of the quilt is a Luther Rose which symbolizes the love of the Creator for all people. The Montana Synod is in the process of visiting all 7 current reservations as well as the Little Shell Band when officially designated. Fort Peck Reservation was the first reservation to receive the apology and quilt. healing of lives torn asunder by forced cultural changes, loss of language, racism and poverty. tomorrow for all of the Creator’s people.